Rangewood® is versatile, robust and natural-looking offering the warmth and appearance of timber weatherboarding without the problems associated with real wood. Made from treated timber strands with an exterior resin binder under intense heat and pressure. The woodgrain texture is embossed into the surface, providing continuity of definition and visible depth of grain. A resin saturated paint overlay is fused to the engineered substrate, giving a tough surface that is quick and easy to paint. Installation is quick and easy because no special cutting or fastening tools are required. Caulking is applied to joints and any visible nail holes prior to painting. The completed cladding should be painted with 2 coats of good quality paint suitable for external timber within 12 weeks of installation. Rangewood® is engineered timber and therefore must be stored correctly on site: Immediately upon delivery the pallet must be placed in a sheltered and ventilated area out of direct sunlight. All polythene wrapping must be removed. We recommend repainting Rangewood® weatherboarding on a maximum five year interval depending on the type, quality, application method and amount of paint originally used. Refer to Vulcan for more information. Products are warranted to be free from defects in materials, workmanship and design. When properly applied, finished and maintained, they are also warranted to remain free from fungal degradation, cracking, peeling, separating, chipping, flaking or rupturing of surface overlay for the warranty period. 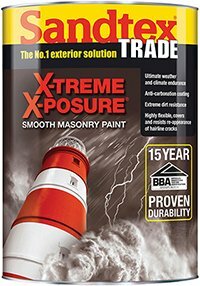 5 year 100% labour and materials warranty; limited 10 year warranty on the factory paint finish (if applicable) & substrate, subject to correct installation and cleaning. For full warranty information please contact Vulcan sales office.